Downtown Singapore. 91 & 93 Kellock Road. Completed: 2000. 3-bedroom+1. 1292, 1313, 1345 sq. ft.
3-bedroom+study+1. 1464, 1507 sq. ft. The study room is small and has no closets. 4-bedroom. 1700 sq. ft. The 4th bedroom has closets and an attached bath. 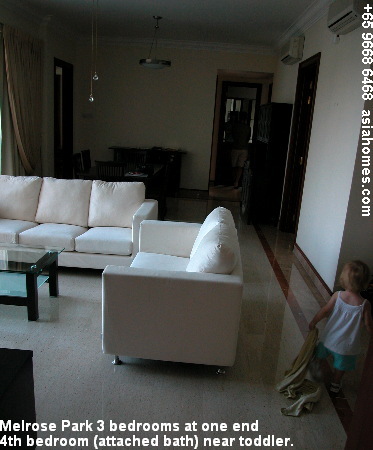 Living/dining - light cream coloured marble with brown stripped border. Bedrooms - dark brown timber strips. Night lights (squarish light box) 6 inches from floor level to illuminate room at night in all rooms. Singapore cable points in all rooms. Shower cubicle in master bedroom, white long bath, white basin in master bathroom. Common bathroom has a shower cubicle dark green floor tiles and black counter top. The powder room has no shower. Walk-in closet in master bedroom. Small plantar box for plant in front of the living area and low open grilles. Block 93, units FF-02 above 7 floors face the Singapore River (canal) and a new condo construction as at Nov 2002. Blk 93 faces the pool. 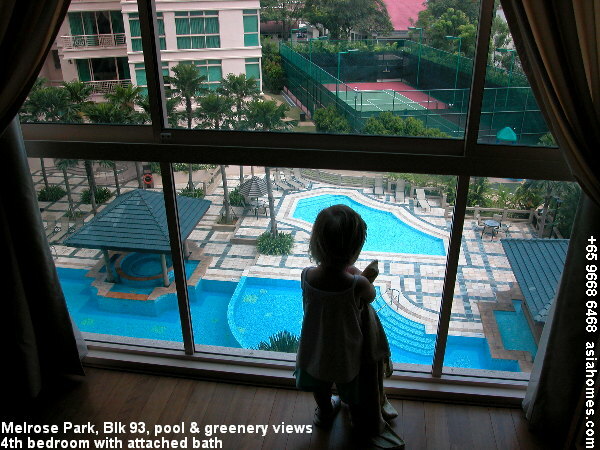 One concern of an Australian expat with 2 toddlers is that they may crash through the glass of the high windows of the bedrooms since they don't have the "grilles" to give visual blocks to the hyperactive ones. 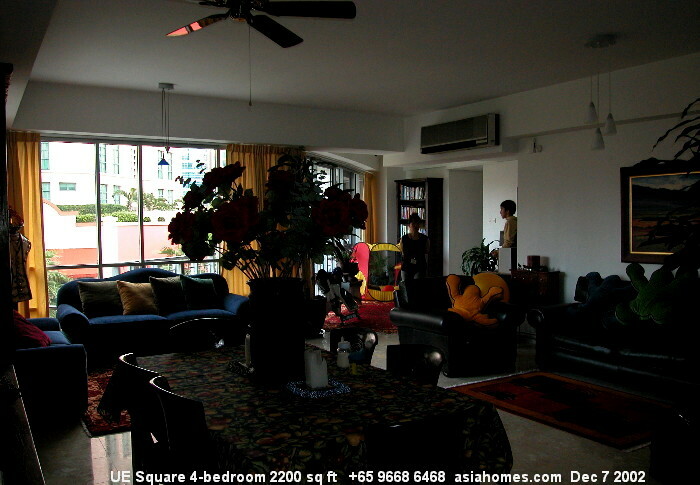 However, the condo is almost 100% occupied as at Nov 2002. The maid's room is sufficient for one bed. The closet will have to be outside. One store room in the living area. A powder room even for the smaller 3-bedroom which means there are 4 bathrooms, including the maid's. Black granite counter top for common bathroom. Rich brown marble top for master bathroom make this condo look classy. Audio-visual intercom security system on the wall inside the kitchen. White Siemens oven, microwave and hob with grey hood. Brown kitchen cabinets and fiberglass-type sink. Cream marbled flooring of dining area. Living area and powder room to the right, behind the white glossy ceramic tiled wall which has the audio-visual intercom. Swimming pool, big children's pool, 2 bubbling jacuzzi pools with roof, big gym facing pool, big function room for >24 people, BBQ area, children's playground, fitness track, putting green, covered car park at the basement. Audio-intercom system, 24-hour security. A golf simulator room rare in other new condos. A swimming pools and 2 bubbling jacuzzi pools. In the foreground is the children's playground. Jogging track to the right. A side-gate to go to the Great World Shopping Mall in a 5-minute walk. 999 year leases. Excellent as investments but lower floors facing afternoon sun or the Church (Block 91) and those with no views or car park lot views (Block 91, ....-02 series) command lower rent. 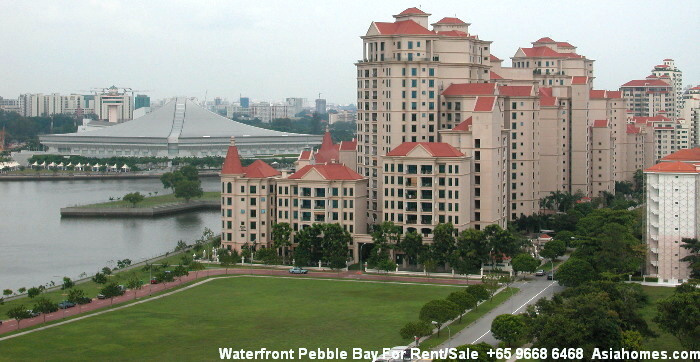 Email judy@asiahomes.com to buy. 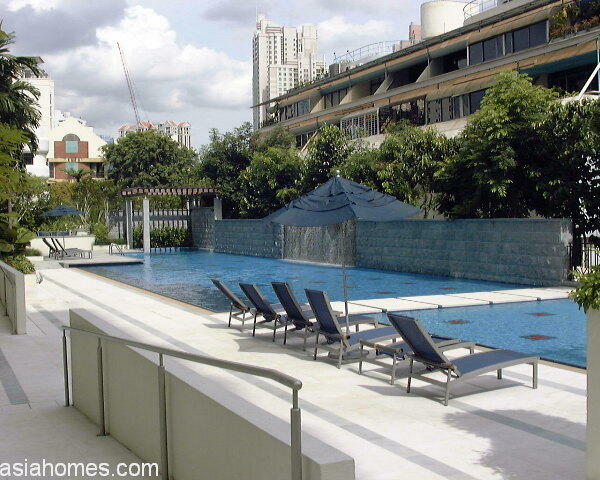 Advantages: Very near Cold Storage supermarket and a 5-min taxi ride to Raffles Place or Suntec City. Has a large Caucasian family community. 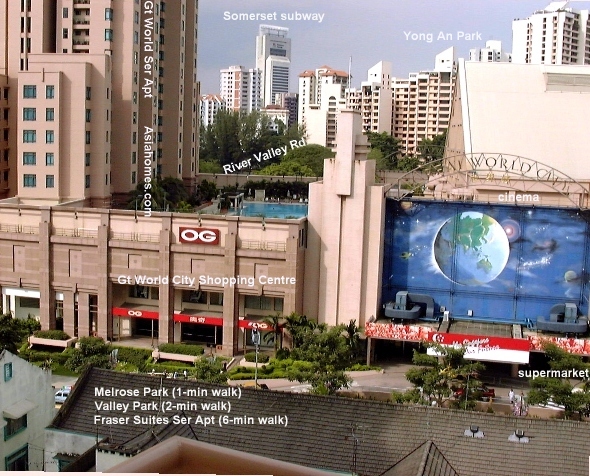 Expected to be favourite amongst expats as there are 4 buses to downtown Orchard Road and the Great World shopping mall & cinemas (right of image), with its free shuttle to Orchard subway. 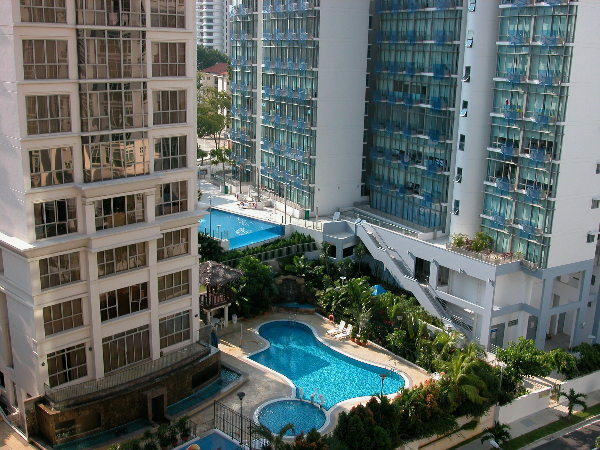 The swimming pool seen in image above is that of the Great World Serviced Apartment. Advert by Realtor: Melrose Park 3+1 1300 sq ft $6,500. 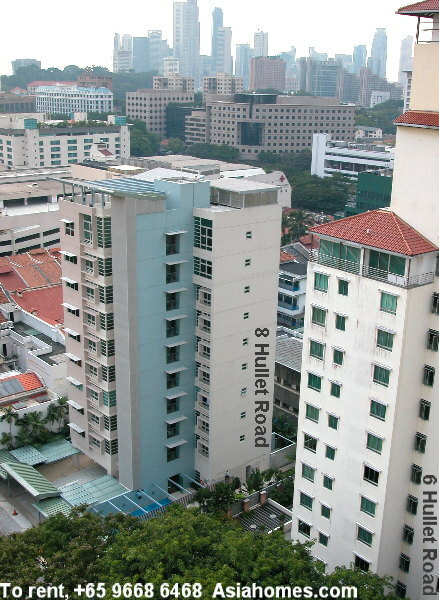 Blk 1, #FF-02, above 5th floor, 4+1 Guest room with attached bath, on right hand side. $7,000. Green tree view, above fitness area and a Catholic church. Blk 2, #FF-02, above 10th floor. 3+study+1, 1507 sq. ft. Unblocked city views, across canal, facing south. Breezy (in Australian slang) but windy (Singapore slang). Blk 1, #FF-04, above 15th floor. 3+study+1 1550 sq. ft, $7,000. Has a small entry patio. Powder room on left of main door. Living room obstructed by opposite apartments, i.e. no views. 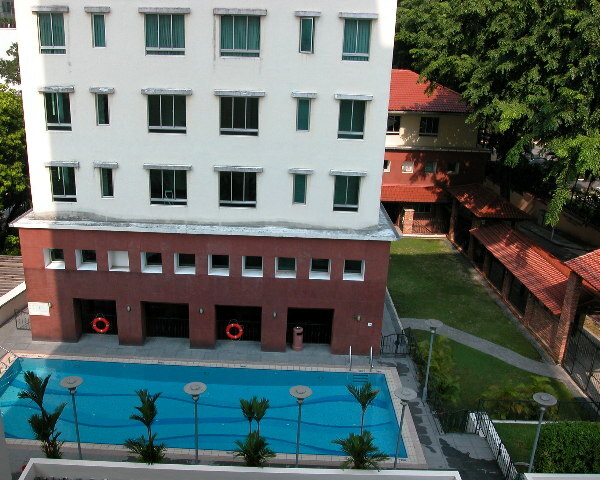 Blk 93 facing pool. 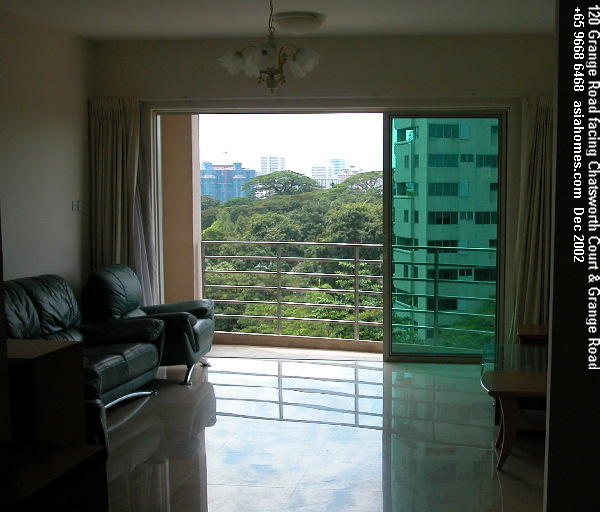 Above 15th floor 4+1, with green tree views of Fort Canning in the distance. Rental around $7,700. Lower floors face pool. 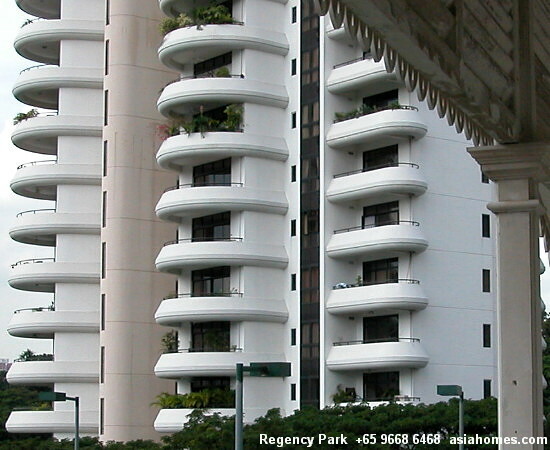 This block with FF-01 units commands the highest rent in 2003. 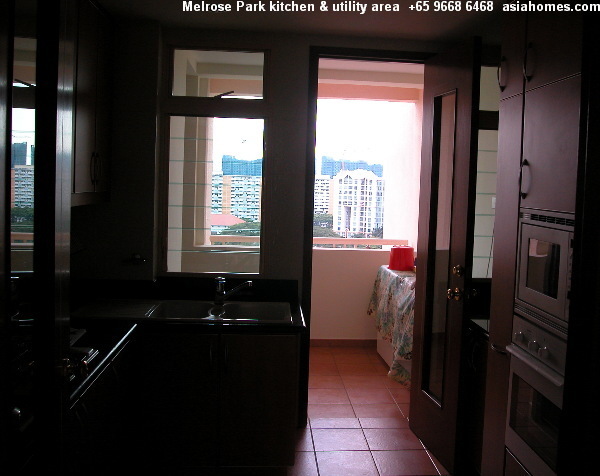 Rents have gone up in 2011.
falling in love with Melrose Park's kitchen. 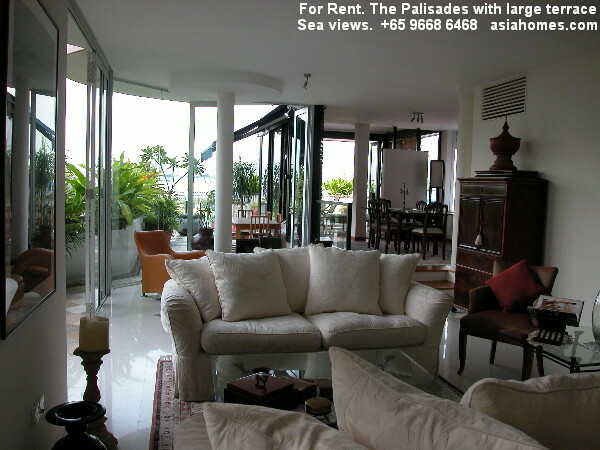 Newcomer expat: Please contact Judy@asiahomes.com, tel: +65 9668 6468 to help you get the best rental package deal. Will the American consultant get his waterfront beauty? 241. Dec 25 02. 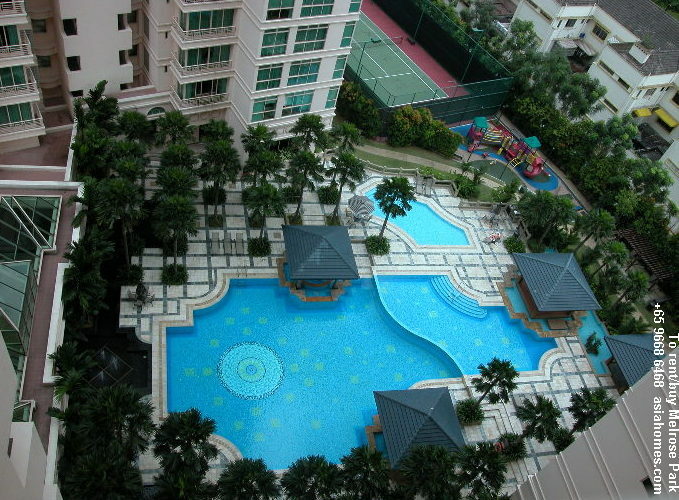 Regency Park 3 bedroom 2300 sq ft, $6,500 4th floor. Available end Feb 2003. Many Caucasian families. 240. Dec 10 02. 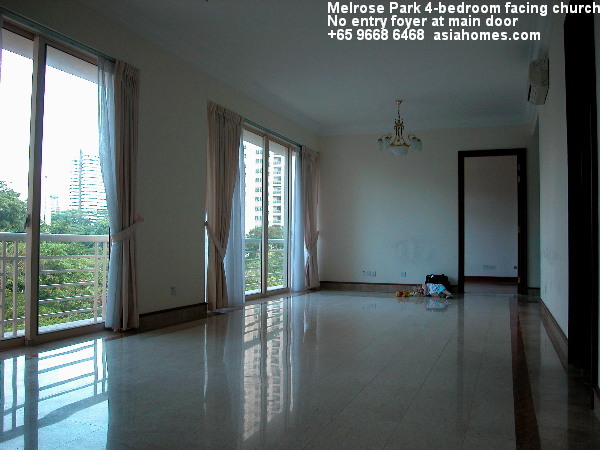 Horizon Towers 4-bedroom rent $4,000 - $6,000 or sale $1.2M. 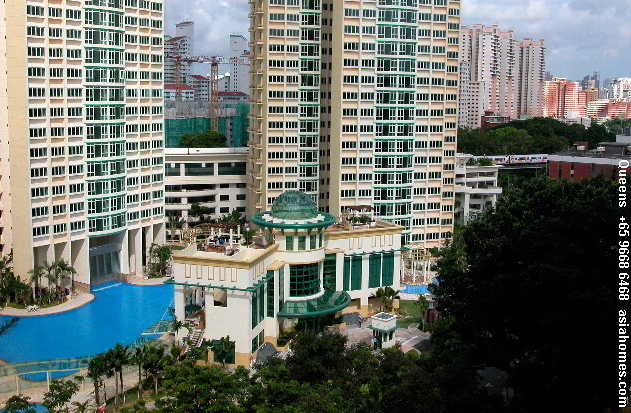 The Aston, Montana, Mutiara Crest, 7 Claymore Road. 239. Dec 15 02. 1 Holt Road penthouse $10,000. Has a roof terrace and balcony. 238. Dec 902. 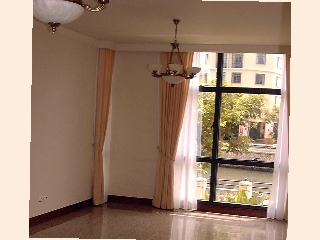 UE Square 4-bedroom 2200 sq ft with balcony. Rented in Dec 2002. 237. Jan 5 03. Cluny Park new bungalows $32,000 236. Pebble Bay 3-bedroom $5,000. 1-bedroom $3,000. Case study. A German War? "What's wrong with the Landlord? He also wore his shoes into the apartment". The Landlord had written to the German tenant of The Bayshore that he wore shoes inside the apartment and that he would responsible for the same condition of the flooring as he had at the commencement of tenancy. This note from the Landlord did not mean much to the German tenant. What the Landlord meant was that the marble flooring would be scratched as the Tenant wears his shoes inside the apartment. To the Caucasians, wearing shoes inside the apartment is part of their culture. "Doe he want a war?" 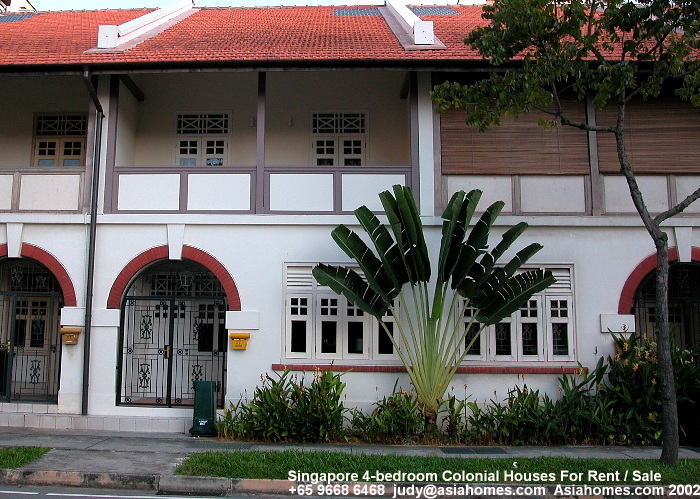 asked the Tenant who is actually a reasonable man, first time working in Singapore and therefore still unsure of the customs and practices. "I am prepared for litigation at the end of tenancy. I am having witnesses which include me, the realtor, to testify for him that the Landlord also wore shoes". If the Landlord-Tenant relationship was good, the German tenant would have responded positively. The Tenant has "in-house" shoes. In my observation, the marble flooring will fade after 2 years of tenancy and may need another polish to maintain it. Caucasians wear shoes into their apartments as part of their culture. Japanese tenants do wear slippers inside the house. Singaporeans of various races keep their footwear outside the house. "Little things" irritate, but it will be good to establish a good Landlord-Tenant relationship and forget about how good your previous Japanese tenant was. Get to know your new tenant. Don't hide behind the past. Live for the future and you can be happy as you want to be. Be glad that your unit has a tenant in this massive glut of investment condos. No two tenants are alike. 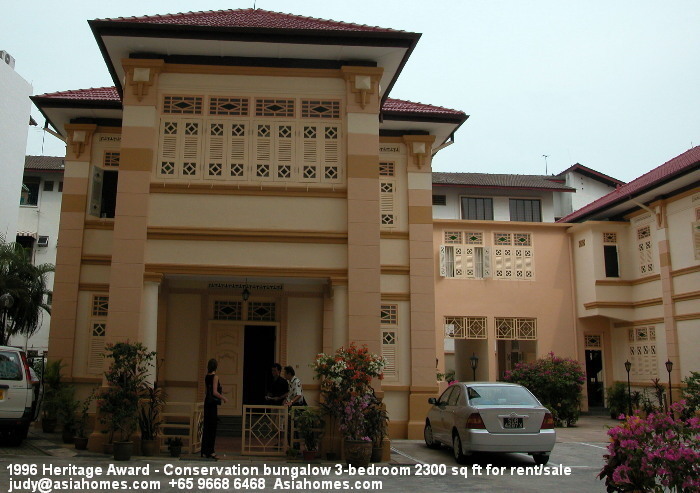 It is better to have a shoe-wearing tenant rather than a vacant investment condo.